Helping you drive more efficiently. Whilst many local journeys can be made effectively on foot, by bike or by bus, some journeys can only effectively be made by car. For example long journeys, shift work at night and carrying large or heavy items are often difficult without access to a car. For those journeys, some ways to help you drive more efficiently are suggested in this section. To use this network you need to pay an annual fee of £10 and fill out the form: www.sourceeast.net/register and you will receive a Source East card. To use the charge points in the Bedford area is free of charge once you’ve paid the annual fee. 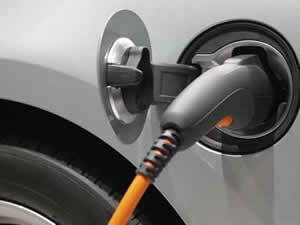 At the charging point, plug your cable into your car, swipe your card and connect your cable to the charge point, then close the door. When you want to stop charging swipe your card, unplug your cable from the charge point and close the door. You can reduce your fuel consumption by up to 15% by making small changes to your driving technique, enabling you to get more miles to the gallon and save money on your fuel costs. Turn off air-conditioning and open the windows when travelling at low speeds as the air-con uses up fuel when running. Ask to see the other person's ID – a staff pass if at work, a passport or driving licence and don’t forget to take your ID too so they know who you are! Remember, you have no obligation to continue car-sharing. If you have any doubts about the person you’re travelling with, for any reason, email or text them to let them know you’re not able to continue the arrangement.